Eduard Weyr's father, Frantisek Weyr (1820-1889), was born in Náchod to Jan Weyr (1791-1842) and Terezie Wanátková. Frantisek was a professor of mathematics at a realschule (secondary school) in Prague from 1855. He had married Marie Rumplová (1825-1889) in St Stephen's Church in the upper New Town of Prague on 10 June 1850 and they had ten children. Two of the children were born before their marriage. Before examining Eduard's life in detail, let us briefly comment on all ten children. These were Karel Weyr (1844-1915), Emil Weyr, who has a biography in this archive, Marie (1850-1923), Eduard Weyr, the subject of this biography, Bedrich Weyr (1853-1908), Anna (1854-1884), Antonie (1856-1919), Emilie (1858-1934), Berta (1860-1927), and Helen (1867-1955). Karel, the eldest of the children, was rather different from his brothers and did not influence them greatly as they grew up. He became a financial controller and financial inspector. Bedrich, the one brother younger than the two mathematicians Emil and Eduard, studied chemistry at the Czech College of Technology (1871-1874) and at the University of Prague (1875-1878). He became an expert in sugar refining becoming director of sugar refineries. Of the girls, Marie married Albin Sieber, the director of a sugar refinery in Zdice. Anna married August Johann Friedrich Seydler (1849-1891), a distinguished theoretical physicist and astronomer who was a professor at the Charles University of Prague. Antonie married Rudolf Schuh (1848-1897). Emilie married the architect and builder Josef Roesel (1855-1922). Berta married the very wealthy wholesaler of sugar Leopold Brumlik (1849-1900). The youngest daughter, Helen, lived with her brother Emil in Vienna for many years. Eventually she married Colonel Ernst Grünfeld (1860-1938), the brother of the well-known pianist and composer Alfred Grünfeld (1852-1924). We note that the family were German speaking and only spoke Czech as a second language. Eduard was four years younger than his brother Emil Weyr who also became a famous mathematician. He was baptised in St Stephen's Church in the Upper New Town of Prague where his parents had married. He grew up in a home where mathematics was talked about with great enthusiasm, both by his father and by his older brother. However, the salary of a school teacher was not large and with a big family to support, Frantisek could only bring up his children in relatively poor circumstances. To contribute to the family's finances, the Weyr family provided accommodation for students so when they sat down to eat there would be fifteen people around the table. Eduard attended the Trinity elementary school from 1858 to 1861, then spent the year 1861-62 at the elementary school of Our Lady of the Snows. After these four years of elementary education he began his secondary schooling at the realschule in Mikulandska street in Prague where his father taught. His performance was outstanding and by 1867 he had completed the fifth year. However, Eduard caught scarlet fever and missed most of his sixth year at school. The illness left its mark on him, in particular for the rest of his life he suffered frequently from headaches. Although because of the illness he did not graduate from high school, he had attended first and second year mathematics lectures at the Prague Polytechnic as a guest since the fifteen year old boy had not matriculated. Encouraged by his father and brother Emil, he was already undertaking research and wrote his first mathematics paper at the age of sixteen. The paper, Erweiterungen des Satzes von Désargues nebst Anwendungen Ⓣ, was published by the Austrian Academy of Sciences in Vienna, the Kaiserliche Akademie der Wissenschaften in Wien. In session 1868-69 he matriculated at the Technical University of Prague where he spent two years training in construction machinery. As well as studying at the Technical University, he also studied mathematics at the Charles-Ferdinand University of Prague. One of his lecturers at the Technical University in Prague was Josef Solin (1841-1912), who was a mathematician and engineer. Solin taught the course on the 'Geometry of Position' and the course on 'Graphical Statics' which Weyr attended. 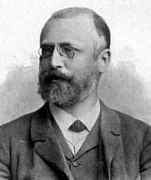 Another of his lecturers was Franz Josef Studnicka (1836-1903), a mathematician and author of many high school and college mathematical textbooks who worked both at the Technical University and at the Charles-Ferdinand University. Studnicka gave a course on 'Analytical Mechanics' which Weyr attended. By the age of sixteen Weyr had already sent two mathematics papers to the Austrian Academy of Sciences in Vienna and, while he was a student, he published further mathematics papers in the Sitzungsberichte of the Vienna Academy, in Crelle's Journal, and in the Zeitschrift für Mathematik und Physik. The first volume of the Journal for the Cultivation of Mathematics and Physics of the Union of Czech Mathematicians and Physicists, published in 1872, contained a paper by Weyr on projective planes. After two years studying machine construction at the Technical University of Prague he transferred to the department of water and road construction. He also studied geodesy. In February 1871 Eduard visited his brother Emil who was in Milan in Italy at this time. The two brothers collaborated on a book on Projective Geometry. He met personally these famous mathematicians, who were perhaps the main motive for his journey to Paris. As ever his stay abroad was useful to him and it also meant that he got to know a number of outstanding mathematicians with whom he later corresponded. He returned to Prague in the summer of 1874 where, on 3 November of that year, he submitted his habilitation thesis on theory of elliptic functions to the Czech Polytechnic. He gave his inaugural lecture on 28 November entitled The integration of algebraic differentials with respect to the elliptic integrals (Czech). Also in 1874 the second volume of his book, written jointly with his brother Emil Weyr, was published. It was subtitled Theory of curves of the second degree. His appointment as a Privatdozent at the Technical University in Prague was confirmed by the Ministry of Culture and Education on 10 March 1875. During the spring of 1875, Weyr also served as an assistant to professor Karl Josef Küpper (1828-1900), the professor of descriptive geometry at the Technical University of Prague. He lectured during session 1875-76 giving the two courses The theory of functions, and Elliptic equations. In the autumn of 1874 Weyr had been offered an extraordinary professorship at the newly founded University of Zagreb. However, he could not accept such a position due to the conditions that had been imposed on him when he accepted the two state scholarships. His brother Emil Weyr had been an associate professor at the Czech Polytechnic from 1872 but, on 23 September 1875, he became a full professor at the University of Vienna. Eduard Weyr took over his brother's lecturing duties at the Czech Polytechnic and on 14 January 1876 he was named as an associate professor at the Czech Polytechnic. With this appointment, Weyr now had a well established academic career with a good salary. Another role that Emil Weyr held was that of Permanent Secretary to the Union of Czech Mathematicians and Physicists. After he left for Vienna, his brother Eduard was elected as Permanent Secretary at a meeting of the Union on 7 November 1875. He continued to hold this position for the rest of his life. He was also appointed as a Privatdozent at the Charles-Ferdinand University of Prague in 1876. On 10 May 1876 he was elected an associate member of the Royal Czech Learned Society. We note that this Society, founded in 1784, was succeeded by the Czech Academy of Sciences and Arts (České Akademie Veda Umeni)in 1890 and by the Czechoslovak Academy of Sciences in 1952 and then, in 1992, by the present Academy of Sciences of the Czech Republic. Josef Solin had been appointed as a full professor at the Prague Polytechnic in 1876 but he handed his teaching duties over to Weyr in 1878 when he took on other positions in the Polytechnic including rector and dean. Also in 1878 the third volume of Emil and Eduard Weyr's projective geometry book was published. We should note that Emil had been the major contributor to the first two volumes but Eduard was the major contributor to the third volume. In the same year of 1878 he was elected as a corresponding member of the Société des Sciences Physiques et Naturelles de Bordeaux. In fact Weyr was offered a full professorship at the University of Innsbruck in 1876 and, later in the same year, he was offered a full professorship at the University of Czernowitz. He declined both offers. Weyr became a full professor at the Czech Polytechnic on 15 February 1881. The 1st Congress of Czech Physicians and Naturalists was held in Prague in the spring of 1880. Both Emil Weyr and Eduard Weyr were invited to lecture at the Congress. The 2nd Congress was held two years later and again both brothers were invited to lecture. In the winter semester of 1885-6 he took study leave in Berlin where he attended the lecture courses of Leopold Kronecker, Karl Weierstrass, and Lazarus Immanuel Fuchs. He was offered a chair at the University of Vienna in 1890 but again declined the offer. In August 1889, both Weyr's parents died, his father suffering a stroke thirteen days after the death of his mother; they were buried in the Olsanské Cemetery in Prague. On 18 July 1890 Eduard Weyr married Leopoldina Pazderniková in the Church of St Ludmila in the Vinohrady district of Prague. Their marriage was short for Leopoldina died on 30 April 1895. After the death of his wife, Weyr's youngest sister Helen lived with him (as she had before his marriage). On 16 October 1897 he remarried, this time to Theresa (1869-1920) the widow of Karlu Teige, a gymnasium professor and musician. Theresa had two children from her first marriage, Karel and Marii (aged 6 and 4, respectively). Eduard and Theresa Weyr's marriage was also in the Church of St Ludmila in the Vinohrady district of Prague. After suffering from a bad dose of bronchitis he went to Nice in December 1901 to recover. After several visits to casinos in Monaco and Monte Carlo he felt better and returned home for Christmas. In 1902 he was offered a full professorship at Charles-Ferdinand University of Prague but died from heart disease soon after being appointed. He had become ill again in the spring of 1903 but by June had recovered sufficiently to go to his summer residence in Zábori. He was buried on 26 July in the local cemetery. 'Old habits die hard.' This maxim may help explain why the Weyr form has been almost completely overshadowed by its cousin, the Jordan canonical form. Most have never even heard of the Weyr form, a matrix canonical form discovered by the Czech mathematician Eduard Weyr in 1885. In the 2007 edition of the 'Handbook of Linear Algebra', a 1,400-page, authoritative reference on linear algebra matters, there is not a single mention of the Weyr form (or its associated Weyr characteristic). But this canonical form is as useful as the Jordan form, which was discovered by the French mathematician Camille Jordan in 1870. Research by Weyr on analysis deals particularly with infinite series and products, and with elliptic functions. In 1900 Weyr was asked by a Committee of the Union of Czech Mathematicians to write a calculus textbook. He published Differential calculus in 1902. This led to controversy with a young mathematician J V Pexider who sharply criticised Weyr's textbook. Jindrich Becvár and Ludek Zajicek give an interesting account of this episode in the paper  in the book . We have already mention certain honours given to Weyr. Other honours include election to honorary membership of the Union of Czech Mathematicians and Physicists on 13 December 1884. He received the anniversary prize of the Royal Czech Society of Sciences in 1889 and, two years later, he was again honoured with the award of the anniversary prize. In 1896 he was elected as a corresponding member of the Yugoslav Academy in Zagreb, and in 1897 as a full member of the Moscow Mathematical Society.